As part of their continued drive to exceed customer expectations StorDigital Systems have now introduced a 3 year warranty package for their range of DVD Copier systems. 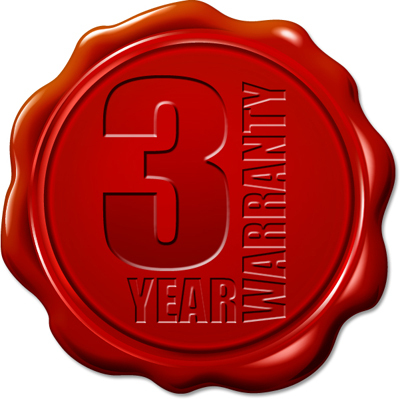 The new warranty extends the existing 1 year labour warranty to an amazing 3 years, offering the user peace of mind that their investment will be supported long into the future. StorDigital CD, DVD, Blu-Ray and Flash Media duplicators already offer exceptional value for money ensuring that that StorDigital is one of the biggest selling duplicator brands in the UK. A few £££’s saved at the time of purchase can cost a great deal more in lost production, greater expense from an increased number of failed discs, and lost personal time spent chasing off/shore or inadequate technical support. The new 3 year warranty comes as standard on StorDigital Premium Tower Duplicators, LightScribe Duplicators and other DVD and CD Duplicators across the range. Previous Previous post: Karaoke disc duplicator option now on all StorDigital Duplicators.